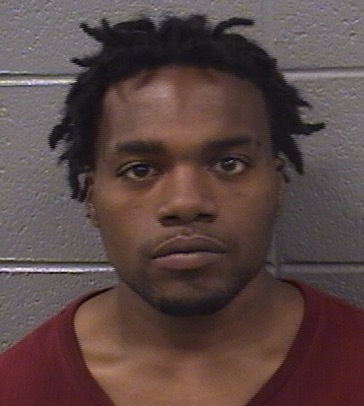 CWB Chicago: On Parole For Lincoln Park Burglary, Man's Arrested Again...For Burglary! On Parole For Lincoln Park Burglary, Man's Arrested Again...For Burglary! Last May, he was sentenced to two years in prison for burglarizing a home in Lincoln Park. But 23-year-old James E. Walker was paroled in April after serving less than one year—and NOW he’s charged with burglary again! Last Tuesday afternoon, two Uptown men saw Walker force open a window to gain access to an apartment in the 5000 block of North Glenwood, police said. Cops arrived on-scene just as Walker was leaving. Walker was arrested after a short foot chase and police said they found two MacBooks in his backpack—including one that was allegedly taken from the apartment on Glenwood. A judge set his bail at $50,000. In April of last year, Walker was charged with burglary after an undercover Chicago police unit caught him leaving the scene of a Lincoln Park break-in, court records say. Walker was carrying a Dell laptop, a Samsung phone, Oontz wireless speakers, an iPod, and credit cards in another man’s name, cops say. He quickly pleaded guilty to a downgraded theft charge and was given a two-year sentence. But, since Illinois is a “criminal-friendly” state, Walker was set free after serving less than a year at the Centralia Correctional Center. • The 3600 block of North Greenview around 8:30 p.m. on Sunday. • An apartment in the 1300 block of West Barry was found burglarized at 11:10 p.m. on Saturday. The burglars used force to enter all four properties, a source said. Detectives yesterday issued a community alert for the Edgewater neighborhood. At least four break-ins have been reported in a concentrated area there since August 4. No offender description was offered in the warning. The thieves have entered homes through doors or windows in the morning and afternoon hours, police said.